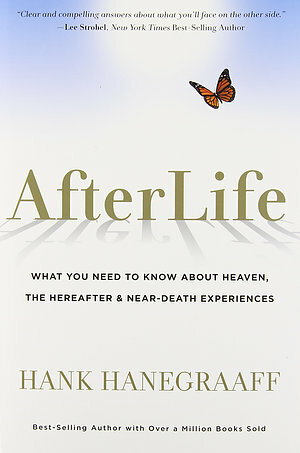 If there was ever a need-to-know book, AfterLife is it. On his daily call-in radio show, the most common questions Hanegraaff fields are about the hereafter. For instance, millions are voraciously reading about the near-death experiences of young children. Consumers are desperate for knowledge and reassurance about what comes after life on this earth. Hank Hanegraaff, one of the most remarkable theological minds of the 21st century, explains the marvellous way this physical life connects our past to our eternal future. AfterLife gives readers a clear and concrete understanding about what happens after death to us and to those we love. Afterlife by Hank Hanegraaff was published by WORTHY PROJECTS in February 2013 and is our 16441st best seller. The ISBN for Afterlife is 9781617952081. Be the first to review Afterlife! Got a question? No problem! Just click here to ask us about Afterlife.